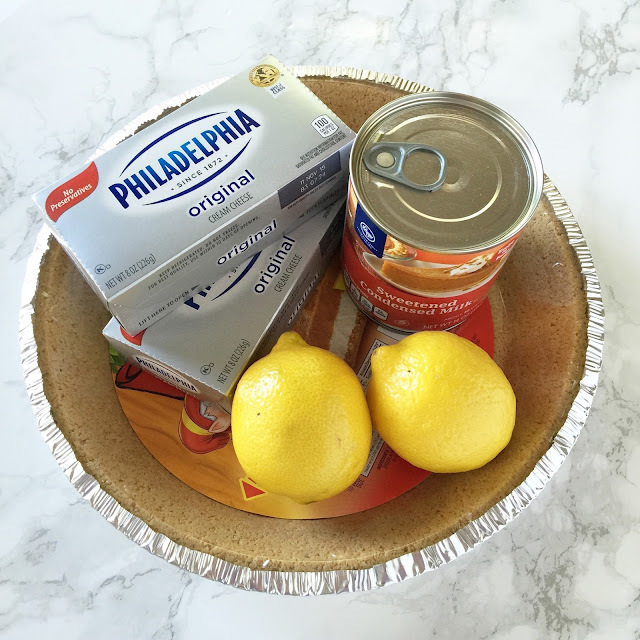 I love to bake... cooking, not so much – but baking is definitely my jam! However, turning on the oven to do a little baking in the 100 degree Arizona summer, honestly, just seems a bit masochistic. 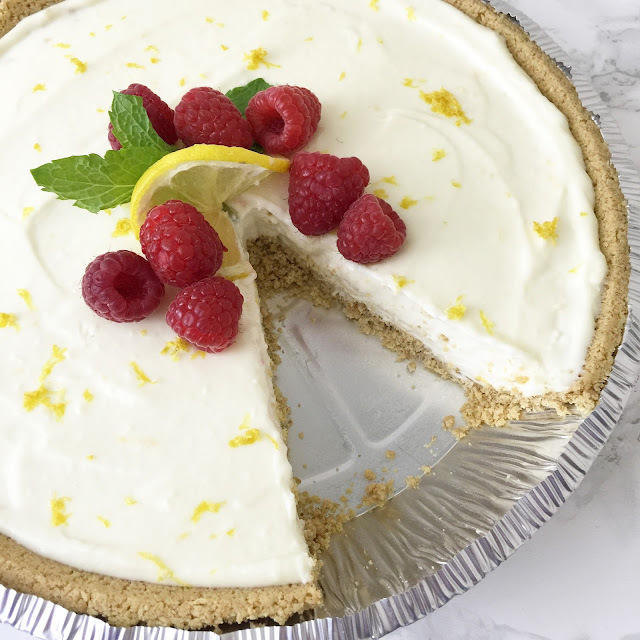 So, that’s the precise reason why this lemon ice box pie is so amazing... no bake! And let’s be real, anything with the name “ice box” is going to be a guaranteed hit for a summer dessert. Begin by whipping the cream cheese in a mixing bowl... unless you have some serious biceps, I recommend using a mixer! Once the cream cheese is fluffy (5 minutes or so), add in the condensed milk, lemon juice, and half of the lemon zest. Mix until combined and smooth. Pour the lemon mixture into your graham cracker crust and top with your remaining lemon zest. Pop your pie into the refrigerator and let chill for 2 hours. 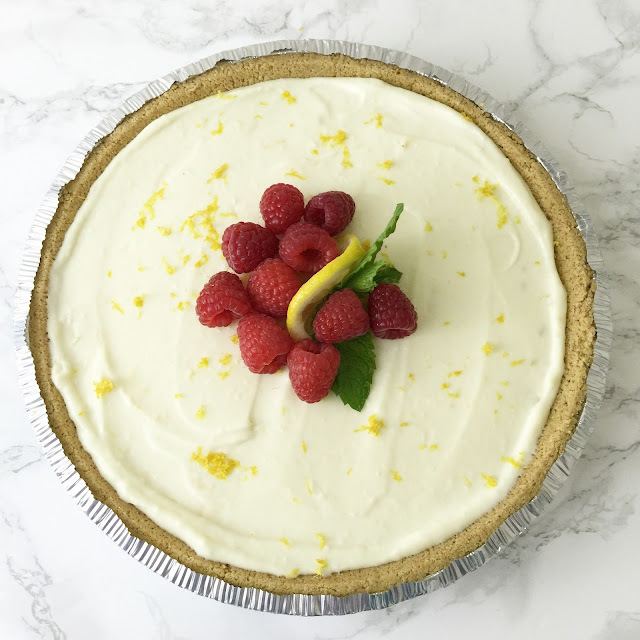 Before serving, garnish with slices of lemon, raspberries, and mint. Gotta love the pretty summer colors! 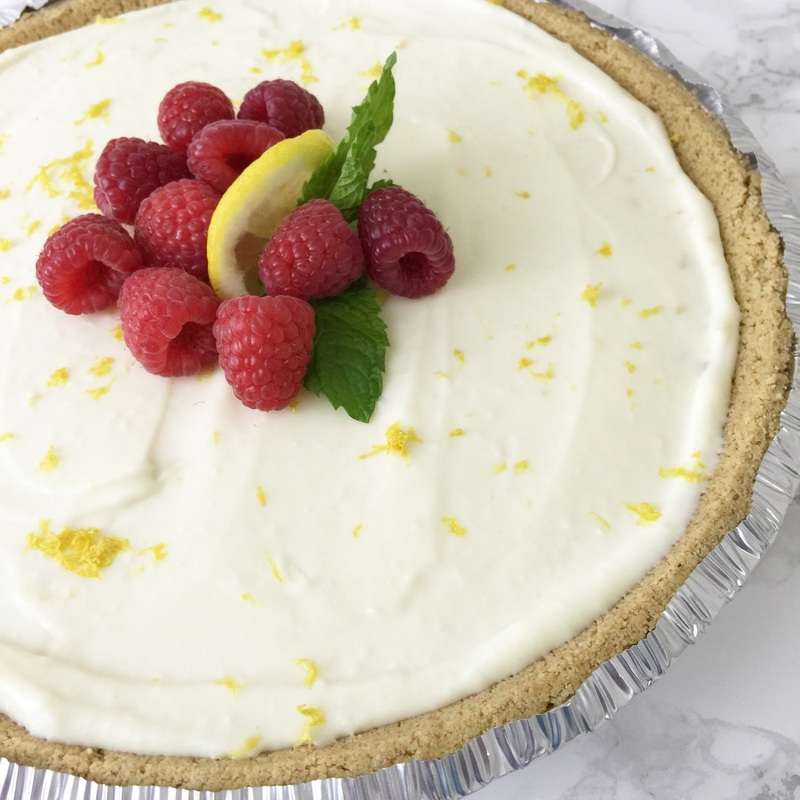 And get ready to indulge - this pie is quite tasty (and was a cinch to make)!! I'm not going to lie, this is my first time making a "no bake" recipe, and I am quite impressed. I could totally get into this! I'm the exact opposite! I love to cook but can't bake to save my life lol! This looks SO good though! I might give it a try and cross my fingers haha! YUM!!! so easy and refreshing! I'm the exact opposite- I love to cook but baking never turns out well for me. I think it has to do with the precision needed for baking, though this totally looks like something even I can handle! 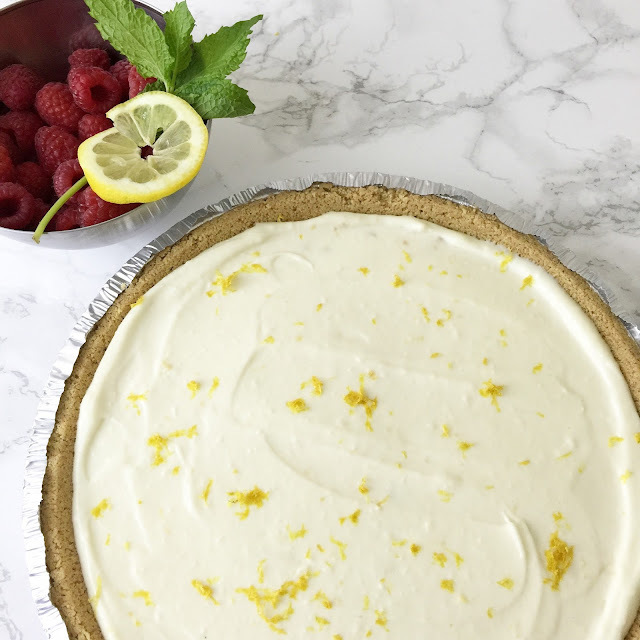 Plus I'm a lemon fanatic so this looks absolutely delish! This sounds so good, and right up my ally! Thanks for sharing! Making this, it looks amazing! Anything lemon is right up my alley and this looks easy and amazing!!! beautiful and delicious, just like all things you bake! Yum, this looks so easy and delicious!! Thank you for sharing. My dad would really like this. This pie is so PRETTY! I love how you garnished it. Perfect summer dessert! And I love that there is no oven required! Double win! I have pinned so many ice box cake recipes but never tried them! This one looks so easy and so yummy! Love the garnishing on top, too! The garnish is so pretty! Love love love! Yum! This looks so good! 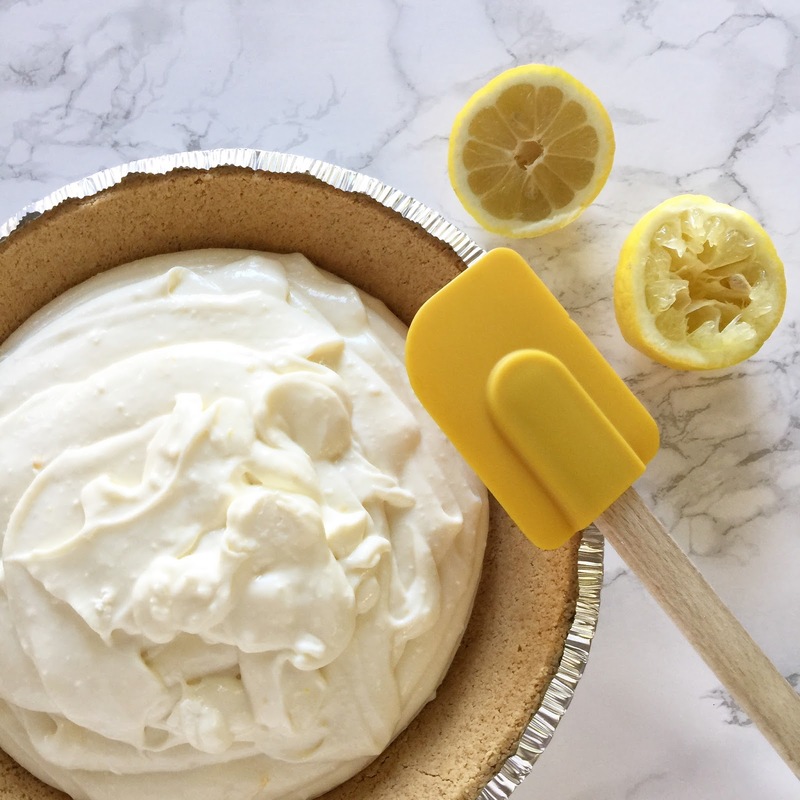 I am a sucker for lemon desserts! 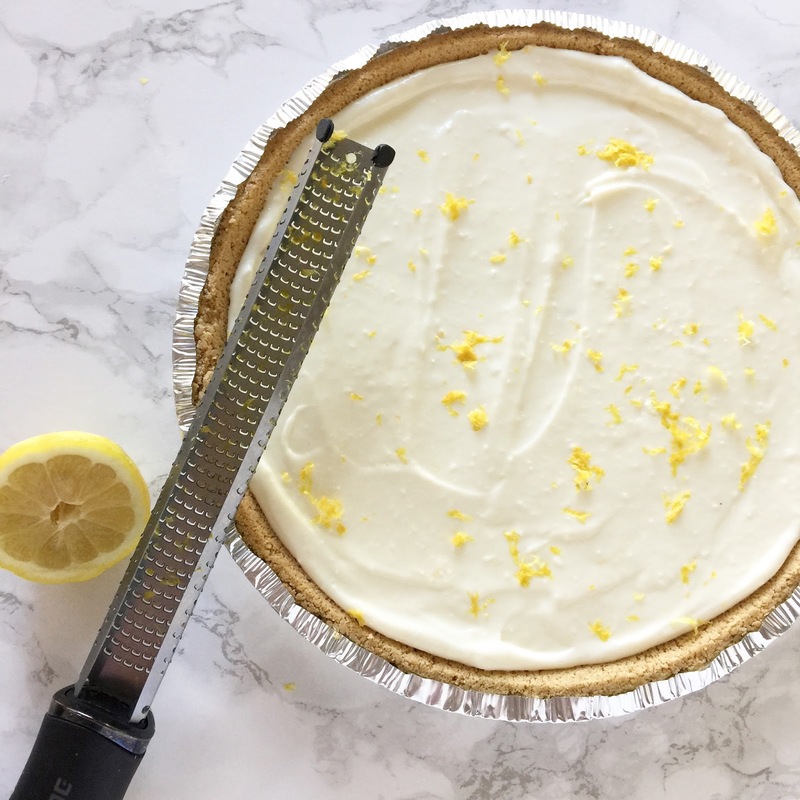 I was JUST thinking about how I wanted to make a lemon icebox pie this week! I saw another recipe and I've been craving one ever since.